This post was originally published August 20, 2013, and was updated in October 2018. 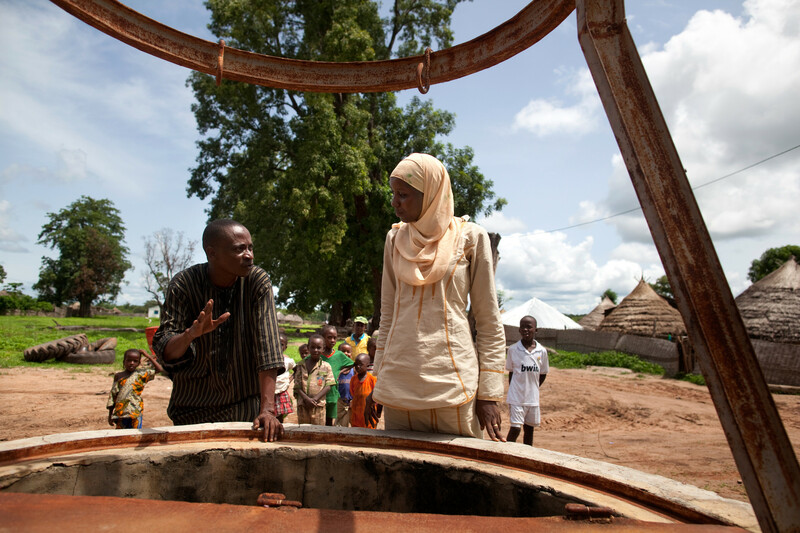 Oxfam helps communities around the world fix up their wells and learn how to treat their drinking water to avoid water-borne diseases. It’s particularly important during times when people are short on food, due to bad harvests following drought, floods, or any sort of humanitarian emergency. This was the case in Senegal in 2011 and 2012, when Oxfam’s program helped farmers recover from a drought and bad harvest in 2011. Oxfam delivered some cash to help farmers buy food, but we also helped them to address water and sanitation and hygiene, all closely linked to malnutrition — because if you have a stomach ailment from drinking bad water, you won’t benefit from the nutrition derived from what food you can find. Build a wall around the top of the well, with a reinforced concrete drainage apron around it. This will prevent surface water running into the well; particularly important where there are animal droppings around. 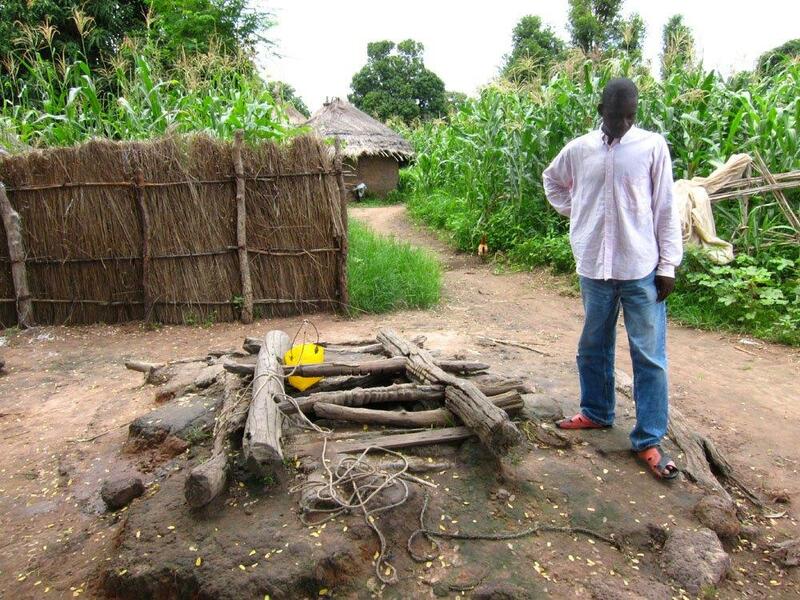 A well near Ayetoro-Ijesa village, Nigeria. Photo by George Osodi/Panos. 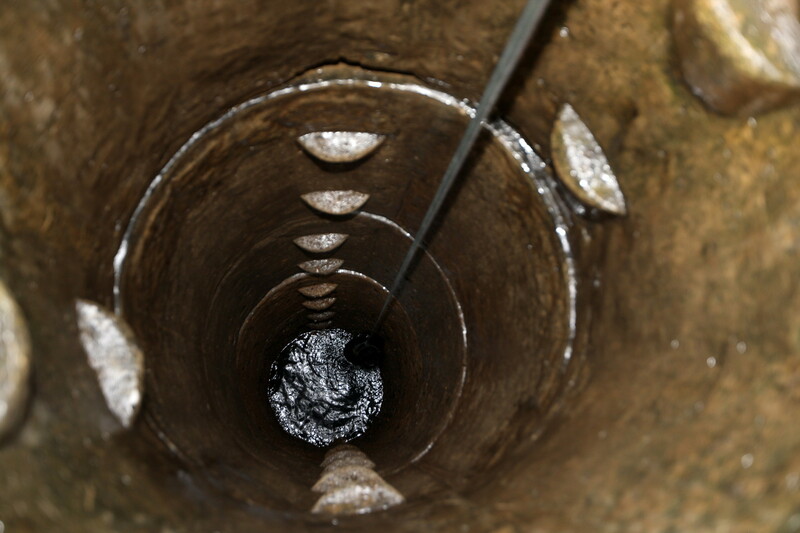 If a well is serving up cloudy, muddy water, it may have too much silt at the bottom. Send an intrepid digger down there with a shovel to dig out the silt and debris, then put a layer of gravel at the bottom of the well. The gravel will keep the silt down, and when someone drops a bucket on a rope down to the bottom of the well it will be less likely to scoop up silt as well as water. Scrub down the sides of the well with a chlorine solution to kill microbes that can make people sick. Disinfect the well water by temporarily adding a strong chlorine solution (removed before the well goes back into operation). Install a reinforced concrete cover over the top of the well to keep anything from falling in and polluting the water. This will make it easier to draw water, if a community can afford to maintain a pump (not always the case—pumps break down and take money, time, and spare parts to repair). Oxfam is introducing a variety of pumps, including locally manufactured and easily maintained rope pumps. A pump piping water up from the bottom of the well takes away the possibility of infecting water with a dirty bucket or rope. 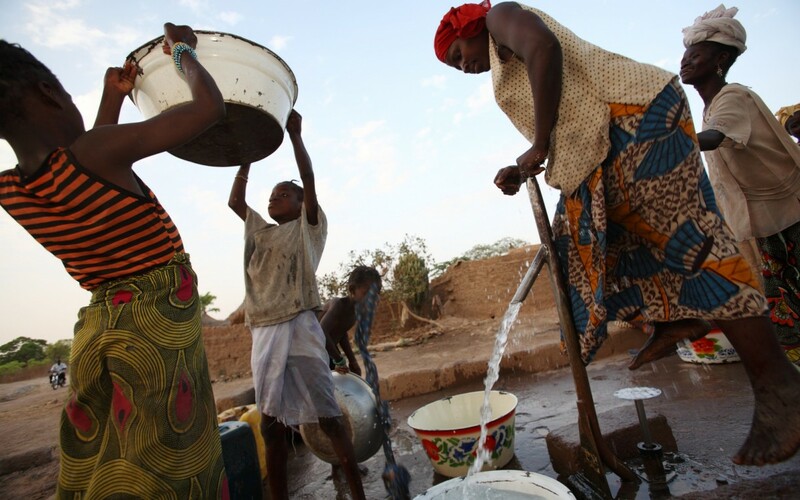 Treating water with bleach in the village of Yongoya in eastern Senegal. Photo by Holly Pickett/Oxfam America. 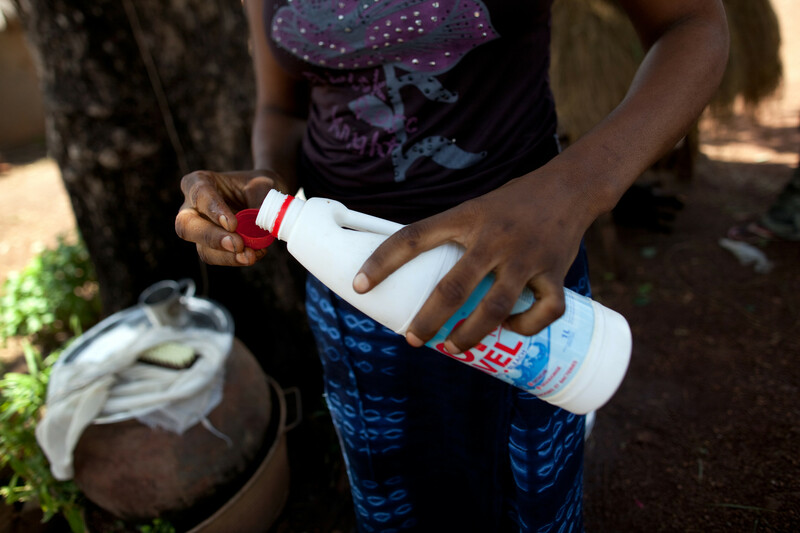 In eastern Senegal, Oxfam distributed hygiene kits that included bleach – just a capful in a 10-liter container will kill bugs that make people sick. 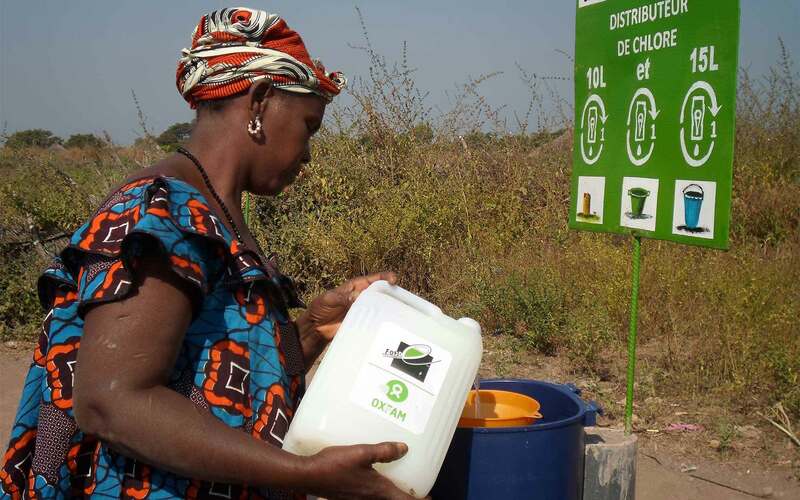 In the southern region near Kolda, Oxfam also installed special dispensers near the wells that dole out a pre-measured portion of a chlorine solution that will safely treat a container of well water. Oxfam works with communities to solve drinking water problems in emergencies because water-borne diseases can be devastating especially for malnourished children. 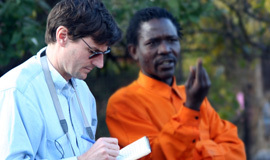 But we also work on water and sanitation and irrigation in our long-term programs. My cousins had a pump well like in picture number 5. They had it in case of emergency, which I think is a good idea. I think it’s great that we’re getting fresh water, or just water in general to places that don’t have it, like we do. Everyone should have access to clean drinking water. No one should be deathly ill or dying simply because they cannot get access to clean water! This was really intriguing to read. Sometimes learning about the effort people go to get water reminds me not to take what I have for granted. I feel so lucky for the water services that exist to help people with their needs. The well at my parent’s farm used to give us great tasting water, but that was 28 years ago. It was helpful to know that if a well is serving up cloudy, muddy water, it may have too much silt at the bottom. I am no expert, but I would imagine if my parents want to keep that well in good shape they should get an expert’s help! I like that you suggest to build a wall or other structure that will help protect the well from outside fluids getting in it. I can see why this would help ensure that you don’t drink things that are harmful to your body. It might even be good idea to keep the area around it as clean as possible. Perhaps you could sweep away any loose dirt or plants that could fall in it. Chris, I can see why you would need to disinfect your well to prevent any illness or disease. I always worry about the people who struggle to find fresh water. I think that more water wells need to be installed throughout the world. So many days gone my well still seems muddy. What will I do? A great read with some wonderful tips to protect well water. Thank you so much for sharing. I visited my mother and sister in the south easth Nigeria. Ebonyi State. the state is for farmers. their don’t have clean water only well nothing like clean water industry. well every. am asking to know I boil the water before drinking will it be clean without coursing sickness. cos am tired. the state is good. but no company.even as a professional I. Graphics is useless here for me to stay but I have no choice. Thanks for writing Oluchukwu, yes if you boil water it will be fine for drinking, but you can also treat it with a little chlorine (see No. 6 above). It’s good to know that when it comes to installing a well there are a lot of things that people can do to keep it maintained. Like how it’s a good idea to disinfect the water with a strong chlorine solution, that way it can kill the microbes. To me that is something that is good for everyone with a well should know, that way they can keep themselves from getting sick. Great to have such a detail with well-studied facts.Cheers!!! My cousins are building a house in the mountains and will be installing a well to get water for their laundry and showers. It is good to know that installing a pump can be a beneficial thing to do because it will make it easier to draw water. I am glad to know that this would also take away the possibility of infecting water with a dirty bucket or rope. I will be sure to share this information with my cousins, thanks. I never thought that the water coming out of a well would need to be treated or disinfected. It definitely makes sense that it’s better to be safe, but I just hadn’t considered it. I have been looking into digging a well in my new yard, if I can get the permits, because I think it would be awesome to supply my own water. I’ll definitely have to keep this article in mind if I end up being able to do that. It was really good to know that one of the best ways to make sure that the water well remains clean is by covering it since it will keep debris from falling in and pollute the water. I am researching these things because we plan on having a water well drilled in the property soon. However, is there any other alternative to the cover, like vinyl? I do not think it will be easy to remove concrete. Thank you for sharing. A new neighbor down the street from my house recently mentioned to me that her upbringing in Western Africa involved her use of wells as their main source of water. I never knew that if a well is serving muddy water, it may have too much silt at the bottom which can be prevented by placing a layer of gravel to keep the silt down. Thank you for the information on wells! Thank you for suggesting that you should make sure and treat the water in the well. My husband and I have a well installed in our pack yard. Something seems to be wrong with it so I am going to have to find a company to come out and repair it.